This Hunter Series "Big T" Double Kennel Dog Box is ideal for the hunter needing to travel with two dogs. Not only can you transport your dogs right into the field with you, but the convenient built-in top storage compartment can be used for storing all of your hunting and training supplies as well. The "Big T" features our largest capacity top storage unit. You'll find room for decoys, guns, gear and more. "Big T" also features dual large dog compartments and dual top storage lids allowing you to conveniently access your gear from the side of your truck. 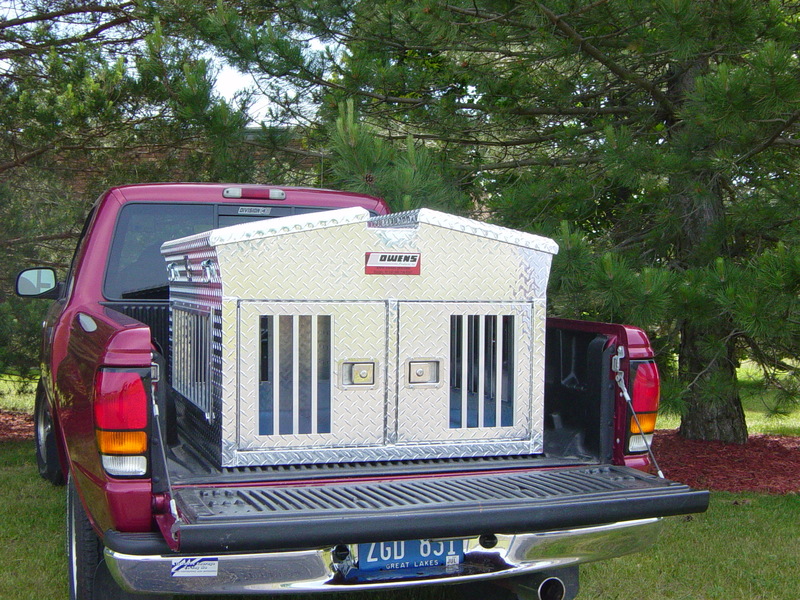 This aluminum dog box model features our over-sized 4-season side and rear vents with storm covers to keep your dog cool during warmer weather.